On October 13, boxing fans who live in the Valley of the Sun had their eyes glued to televisions as a local hero took his steps into the ring. Jose Benavidez Jr., hailing from Phoenix, Arizona, challenged Terence Crawford for the World Boxing Organization world welterweight title on that night. Benavidez Jr. ended up losing the fight in Round 12 via technical knockout. Benavidez Jr. had put together a phenomenal run before this fight. Over the course of eight years, he won 27 fights before losing to Crawford. Benavidez Jr. doesn’t like to leave it to the judges, either; in a total of 27 fights, only nine have gone to the judges’ scorecards. Benavidez Jr. is a perfect example of someone who worked hard to get out of a potentially bad situation. As a youth, Benavidez Jr. kept busy in the boxing gym with his father to stay out of the streets. But in August 2016, Benavidez Jr. was shot in his leg while taking a walk, an incident that almost cost him his career. After countless hours of hard work and extreme dedication, Benavidez Jr. worked his way back to top contender status and finally got the fight with Crawford. Benavidez Jr. is the son of Jose Benavidez Sr., his trainer, and the older brother of world champion middleweight David Benavidez. The fight was a huge moment for the local boxing community. Local boxing trainer Pete Chavez thinks the fight was good exposure for Arizona. 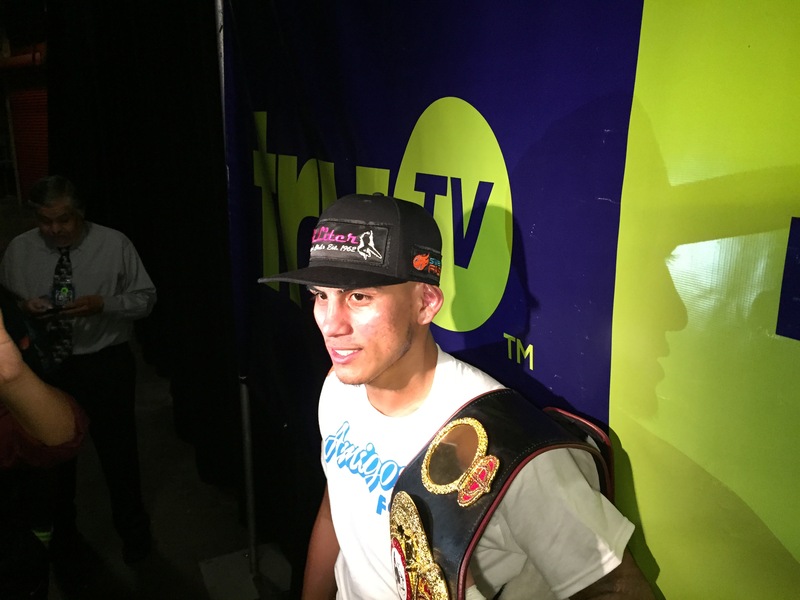 “I think Benavidez Jr. represented Arizona well, especially after the fight,” said Chavez. After the fight, Benavidez Jr. showed maturity and respect in the post-fight interview to Crawford for beating him fair and square. That was after a good deal of trash-talking leading up to the main event in Omaha, Nebraska, Crawford’s hometown. Combat sports contributing writer Weston DeWitt also acknowledged the fact that Benavidez Jr. stepped up to the plate for this fight. “I think José going as far as he did against one of the best in the world is huge for up-and-coming Phoenix boxers. José and his brother, David, are automatic role models in the Phoenix area as far as I’m concerned,” said DeWitt. “It definitely shed some positive light on the local boxing community,” said local boxing gym owner John Gonzalez. After the fight, many viewers expressed their thoughts about Benavidez Jr. and his fight performance on social media. Some even questioned his potential as a fighter, but the Phoenix locals knew this was a promising showing. Gonzalez said an injury to Benavidez Jr. is a factor. “I think Jose’s potential is limited because of his knee,” said Gonzalez. Chavez also noted that Jose would be limited due to his knee but will still get some notable fights soon. When it comes to boxing, trash talk has always been a huge part of the game, some fighters more than others. Depending on the viewer, one may get offended by the trash talk or others indulge in it. Benavidez Jr. gave Phoenix a pretty big spotlight during his fight and he appears intent on not slowing down on making his mark in the boxing world. These losses are usually valuable lessons to fighters with as much potential as Benavidez Jr.
“David is already the WBC super middleweight champion at the age of 21. That says it all. I think both José and David have the potential to do some seriously big things in the boxing world,” said DeWitt.